SoLo Funds is the first mobile based lending exchange platform that provides more affordable access to loans under $1,000. SoLo's mobile marketplace connects lenders and borrowers with pre-set terms. 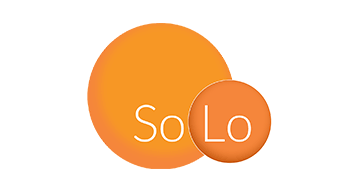 Lenders determine borrowers credit-worthiness through SoLo's propriety social credit score. Loans range between $50-$1000 and have a maximum duration of 30 days. Lenders can make returns on lent dollar amounts. Borrowers can increase their FICO credit score with timely repayments. SoLo is poised to solve the needs of the 76% of Americans that live paycheck to paycheck and the 47% of Americans that cannot solve a $400 emergency cash need without either borrowing from someone or selling a personal asset. SoLo creates an open marketplace for individuals to directly lend and borrow to other individuals around the world. SoLo believes in the power of financial collaboration.